The Fight For Boxing Supremacy! 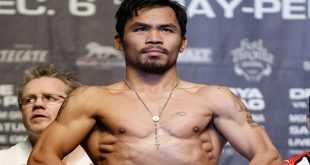 Home / Boxing Articles / The Fight For Boxing Supremacy! 2007 was a year that many of us will always consider one of boxingʼs best. We had Joe Calzaghe vs. Mikkel Kessler to decide the best super middleweight in the world once and for all, Israel Vazquez versus Rafael Marquez in the second bout of their trilogy, Floyd Mayweather Jr faced not only Oscar De La Hoya in the spring of 2007 for the WBC 154 lb title but Ricky Hatton in December in a pound for pound face off. Kelly Pavlik officially arrived by defeating Edison Miranda then lifted Jermain Taylorʼs Middleweight Crown just four months later to claim foot hold as 160 lb kingpin, Manny Pacquiao continued his dominance knocking out undefeated Jorge Solis then winning a rematch with Marco Antonio Barrera, Miguel Cotto defended his WBA Welterweight title against both Zab Judah and Shane Mosley, plus Nonito Doniare stunned the world by knocking out IBF Flyweight title holder Vic Darchinyan relieving him of his championship duties. As good as all that sounds, it was just a preview of the many fights that took place in 2007. 2008 has kept the momentum going thus far with Pavlik vs. Taylor 2, Vazquez vs, Marquez 3, Pacquiao vs. Juan Manuel Marquez 2, Nate Campbell dethroned Juan Diaz to become the lightweight world champion and Paul Williams was relieved of his WBO Welterweight title by Carlos Quintana in his first defense after a year long layoff since winning the belt from Antonio Margarito. If you ask me, that is a pretty good first three months. 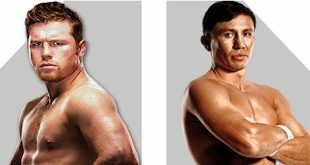 In case there are any doubts on whether things will be letting up anytime soon, let me ease your mind because a few fights to look forward to in the next couple of months are, Ruslan Chagaev vs. Nicolay Valuev in a rematch for the WBA Heavyweight title, Miguel Cotto vs. Ricardo Mayorga in August for the WBA Welterweight title, Chad Dawson puts his WBC Light Heavyweight title on the line against former champion Glen Johnson. Manny Pacquiao faces David Diaz in June for the WBC Lightweight title, Daniel Ponce De Leon puts his WBO Super Bantamweight title up against undefeated Juan Manuel Lopez, Carlos Quintana rematches former WBO Welterweight champion Paul Williams this June and on April 12 alone in separate venues on separate cards, Antonio Tarver will attempt to relive his championship years by facing current IBF Light Heavyweight champion Clinton Woods. Also, Kermit Cintron defends his IBF Welterweight title against the only man to beat him, former WBO Welterweight champion Antonio Margarito on the undercard of Miguel Cotto versus Alphonso Gomez, Mzonke Fana defends his IBF Super Featherweight title, not to mention the bouts I am forgetting or coming up later in the year! A question that has been being asked by fans and critics alike is "Has boxing returned to its former glory?" Well ,from just the samples I wrote about thus far, one would have to say without conviction YES! Except it may not be for the reasons that many think. The general consensus is boxing is in dire need to compete with the ever growing popularity of MMA. With the UFC having several series on cable television including free fight nights, almost twice the pay per views and genius marketing strategy, it seems an obvious theory, include the Versus channel airing World Extreme Cage fighting cards daily, Showtime having monthly cards of Gary Shawʼs Elite XC and the competition doubles. While boxing will always have its diehard followers, who no matter what, will choose the squared circle over the cage, it is the casual fan where the money is mostly made. Casual fans are more into the action fights themselves and be it boxing or MMA, it matters none, just as long as a possibility of a knockout and blood being drawn in the process is looming around the atmosphere. Also, MMA pay per view cards run cheaper than those of boxing so if the choice is $29.99 for a major MMA card or $59.99 for a boxing card that will eventually be aired for free, it becomes clear on who the winner will be. This is where is all gets a bit surprising because it is not MMA that is causing all this extra hoopla providing us with the best fights the sport has seen since the 1980ʼs middleweight glory days, it is the battle from within. Crazy? Well, not when put into perspective. For years, the two main promoters in boxing were Don Kingʼs DKP and Bob Arumʼs Top Rank Promotions. Of course, there were smaller promoters such as DiBella Entertainment, Goossen Tutor and the Duvas that ran second, plus the regional promotions such as Star Boxing and Warriorʼs Boxing etc that also put on quality shows, but when it came down to dollars and cents, either DKP or Top Rank seemed to be getting in on every major card out there one way or another. If a card was promoted and neither were the main promoters, one of their fighters were more then likely on the bill giving them a profit regardless so the urgency to out do one another was not quite as drastic. There was enough of the pie to go around, so to speak. In these last few years the chain of command has gotten a bit shaken around, recognized division world champions are under the tutelage of the smaller promoters. For example, when Jermain Taylor held the middleweight crown, DiBella is his promoter, so besides Taylor's mandatory defenses, he who promotes the champion is able to call the shots in the division. 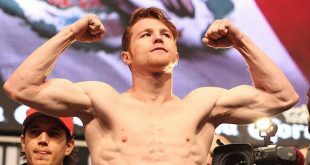 In the UK, Frank Warren is able to keep a strong hold on the when and where of the super middleweight championship because he promotes Joe Calzaghe, the recognized 168 lb champion. Gary Shaw has a few title holders such as recognized flyweight champion Nonito Doniare, WBC Light Heavyweight champion Chad Dawson and DiBella Entertainment represents Paul Malignaggi the IBF 140lb champion and Cristian Mijares, the WBC Super Flyweight champion. With all these title holders and champions scattered around, it makes it impossible for any one promoter to dictate terms, when not long ago 75% of all title holders belonged to just two factions; DKP or Top Rank with Main Events occasionally pulling up a seat. But the biggest spoiler in everyoneʼs comfortable position in the food chain is of course, boxingʼs new kid on the block, Golden Boy Promotions founded by its namesake, six division world titlist Oscar De La Hoya. Golden Boy Promotions has managed to sign just about every big name in the business during its short tenure. 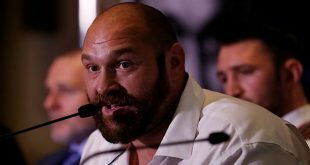 Not only has it signed the big names, but it has managed to get any fighter whoʼs contract has expired with another promoter to sign with them as well. As of right now, their upper tier is Marco Antonio Barrera, Bernard Hopkins, Shane Mosley, Winky Wright, Daniel Ponce De Leon, Joan Guzman, Oscar Larios, Israel Vazquez, Jeff Lacy, Junior Witter, Juan Manuel Marquez and that is just tipping the iceberg. Their roster is double, and in some cases, triple that of any other promoter out there. Golden Boy has also bought out Ring Magazine, the same Ring Magazine that awards the prestigious "Ring Title" in which most declare the only legit title in the business. At the pace Golden Boy keeps increasing, it leaves everyone little choice but to make sure every bout their fighters are involved in are the biggest possible, or risk losing their star to a promoter that can deliver each time out the second their ink expires. As the quality of bouts continue to increase, the battle of promoters gets into the later rounds, each one being forced to outdo the next. As these rounds go by, each promoter is changing their game plan just a little bit; Gary Shaw has entered the MMA game, DiBella has made his Broadway Boxing cards a mainstay on the New York scene, Don King has come out with an internet broadcast channel that will showcase bouts not available to many on local cable stations or in other countries, which premiers tonight for the Cory Spinks vs Verno Phillips IBF 154 lb title bout in St Louis. Even Frank Warren is sending Joe Calzaghe over to the United States to face Bernard Hopkins in a light heavyweight bout, something most did not believe they would ever see. It has become evident to all that to keep in business today one must follow the sporting adage "Come strong or donʼt come at all"! Who will come out the undisputed champion of promoters in this battle? I would not even dare to make a prediction, seeing how everyone has stepped up their game so much and continues to do so. Just as you think one guy is pulling ahead, another digs down deep to start making a comeback. Currently, Golden Boy in ahead on the cards but DKP just won a round with the internet broadcast and with some of the other promoters having undisputed champions, it is hard to count them out. There have been mega bouts in the past, such as Ali vs.Frazier, Leonard vs.Hagler, De La Hoya vs.Trinidad, Dempsey vs. Tunney and Louis vs. Schmeling, that have set the sport on fire while changing history. All those bouts though were just two men, one title and one division. This is a battle for all of boxing. With so many participants, I am sure Vince McMahon, CEO of the WWE, would be willing to throw all the promoters in the ring for a Battle Royal, last man standing holds the supremacy of boxing. It can take place right after Floyd Mayweather Jrʼs Wrestlemania bout with the Big Show. Then again, why allow McMahon to reap the rewards off the match when the longer this battle rages on, the more we as followers benefit. Personally, I hope this goes the full 12 round distance and the winner goes on to become the greatest of all time to never lace up a pair of gloves.